The Foo Fighters have revealed plans for their first concert of 2017. The group will perform at the NOS Alive festival in Passeo Maritimo de Alges in Lisbon, Portugal, on July 7. The three-day festival will also see Depeche Mode on the main stage as organizers prepare to reveal more performers in the months ahead. The Foo Fighters unveiled the NOS Alive date on a new website at foofighterspassport.com, which features a clickable passport over a satellite map of Europe – a likely hint of more shows to follow. The band have been on a planned hiatus since ending their “Sonic Highways” world tour with the release of a free EP entitled “Saint Cecilia” last November. 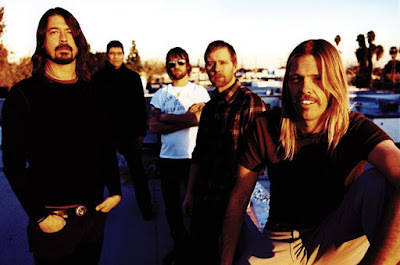 The group's eight album, “Sonic Highways” debuted at No. 2 on the US Billboard 200 with opening week sales of 190,000 copies.